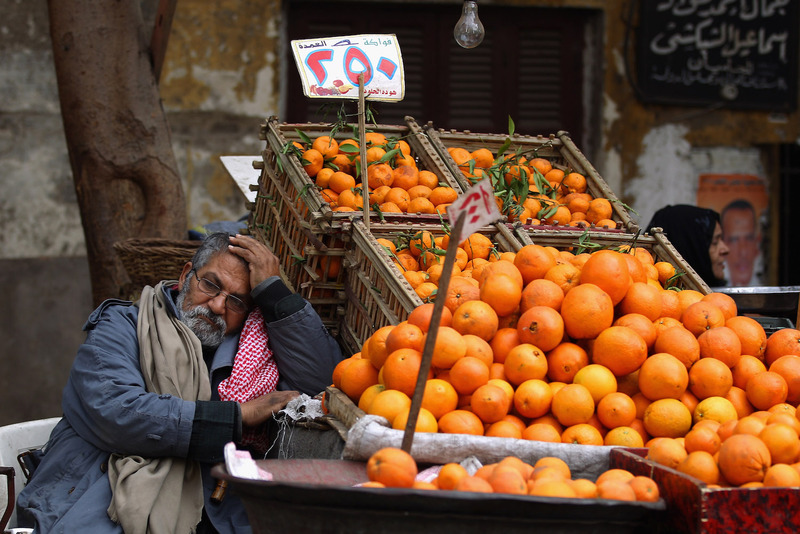 A man sells oranges in the Magra El-Oyoun market in Cairo, Egypt, January 24, 2012. Saudi King Salman bin Abdulaziz’s recent state visit to Beijing is the latest evidence that China is maneuvering to play a bigger role in the Middle East and Persian Gulf. The two countries reportedly signed deals worth upwards of $65 billion during the summit. Beijing’s plans for the region, though, extend far beyond just doing business in the Saudi kingdom. Any country that vies for influence in the Middle East must first win the hearts and minds of the Arab public, which explains why China is investing considerable diplomatic and financial resources in Egypt. Although the Egyptians do not have much in the way of natural resources, the country’s strategic location along the Suez and its disproportionate influence in Middle East politics are both very attractive assets to policymakers in Beijing. Until recently, the U.S. and Europe have been the dominant foreign powers in the Middle East, but now it appears their influence is beginning to diminish, providing a new opening for China. “This decade has seen an unprecedented surge in enthusiasm for the Chinese model of development in the Arab world,” said Sino-Arab researcher Kyle Haddad-Fonda in a recent article in World Politics Review. “As the American vision of democratic capitalism has lost its luster, many Arab intellectuals have turned to China,” he added. Kyle joins Eric and Cobus to discuss why China thinks the timing is right to make a new effort for expanded influence in Egypt and the broader Middle East.